Is this where birds stay when they go to Vegas? 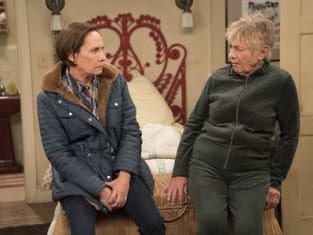 Roseanne Season 10 Episode 6: "No Country for Old Women"
Don't you think Bev would be more comfortable in your spare bedroom? Permalink: Don't you think Bev would be more comfortable in your spare bedroom? Roseanne: Jackie, did you know mom sleepwalks? Jackie: Oh, that's dangerous. I heard if you leave your front door wide open a sleepwalker could wonder right out into traffic. I'm talking wide open.